This is a WIP (Work in Progress). I am going to be setting up a second Etsy shop to sell the many wonderful strands of beads I've collected over the years. I recently made the decision to focus on my visual art, and, while it's difficult to see my beads go, I'm going to be selling them on Etsy. 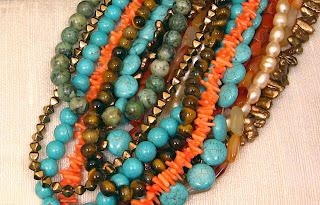 I have everything from semi-precious to Czech Glass, to bone and shell. My hubby, David, photographed a picture to use in my banner. 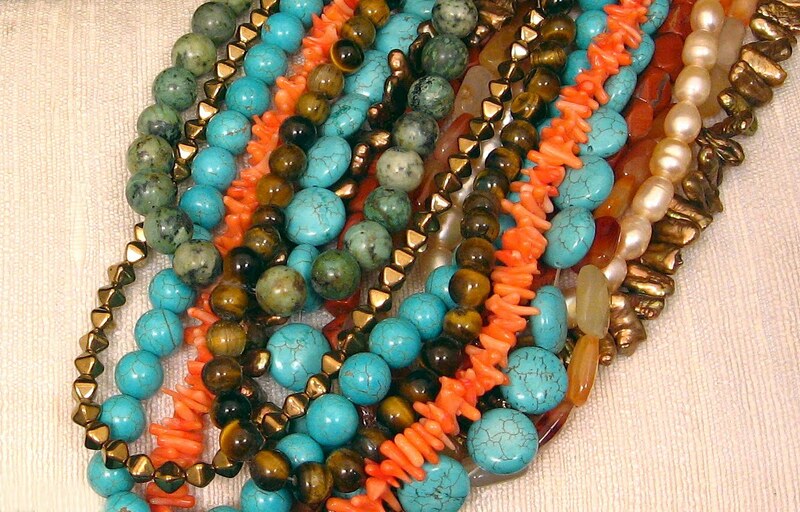 It gives you a sense of the lush quality of the beads I have. I'll keep you posted and write an update when I open my new shop. These are gorgeous, It will be fun to shop there when you get it all figured out and set up. Those are beautiful - looks like they will make a very pretty banner! Fabulous photo! Good luck and keep us posted on the new shop! Wow, that would be hard to let them go, but at least you know that they will be appreciated by others, and given new life. Can't wait to see your new shop Rae, I have to admit I enjoy having more than one shop to express different areas of creativity. Looking forward to seeing your treasures there! !